Sorry for being so quiet over the last few days, life got in the way and didn't leave me much time to write. I knew exactly where to start tonight though, with the new EP from York punk/rock band Feed Them To The Forest. It features two a-sides in Canary and Six Seasons And A Movie, which were both recorded in 2016 and is accompanied by a live track and an acoustic version of Six Seasons And A Movie. Feed Them To The Forest released their debut full-length EP back in 2015 and the quintet has not been shy about getting around the many live venues in their home county. The EP is due for release this coming Saturday. Feed Them To The Forest play hook-laden pop-punk/rock with plenty of melody and harmonies. 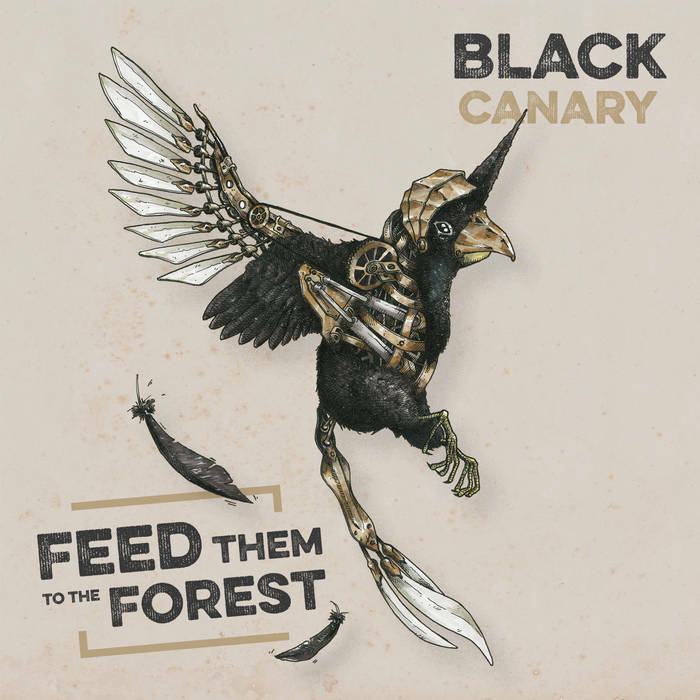 Black Canary brings to mind the likes of Fall Out Boy and the UK’s own Hiding Place. Their sound is pretty polished and the musicianship is strong. Second a-side Six Seasons And A Movie is a sing-along anthem where FTTTF makes full use of the multiple vocalists they have in their ranks. It’s to the point and over all too quickly. They through in a live song on the EP, which is The Kids Need New Shoes from their 2015 debut EP. It’s this song where the lead guitar work really stands out and where the band prove they can really sing. It’s another catchy song, full of British rock sass. I am partial to a good acoustic song as well, so thankfully FTTTF saw fit to include one, a version of Six Seasons And A Movie. I’d go as far to say that it’s better than the full electric version, as the soaring melodies and emotion of the band comes through even stronger. I have no problem with clean/melodic music when it’s done right and this EP is most certainly one such collection of songs. Feed Them To The Forest will appeal to a lot of younger listeners, but may also find themselves worming their way into the heads of some fans of heavier music too. They have done so here. Keep an eye on both their bandcamp and Facebook pages for release news.